Cook the knuckles for 4 hours in stock, with herbs. Bone them and cut them into large pieces. Put the ham, tomato cubes and parsley in a circle on a plate. 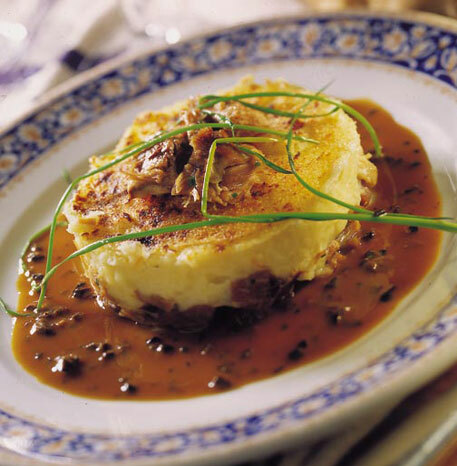 Cover with mashed potato and breadcrumbs. Heat in a slow combustion stove and serve with the veal juice, truffle juice and truffle.